As show below, selecting to search for contacts will open the contact search window from where you are able to choose to create a group via a tag or via selecting multiple contacts. Please note: Sentle will choose the primary email for each contact to send the message to. 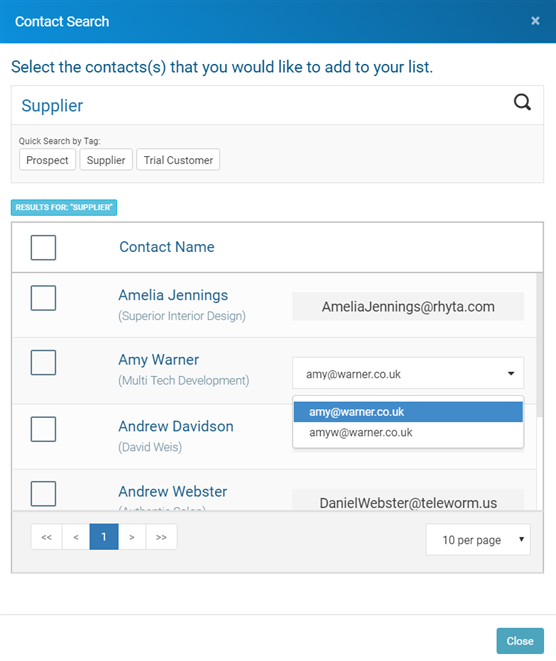 If you wish to change the email address that the message will be sent to the drop down menu in the list can be used to make the selection as shown here. 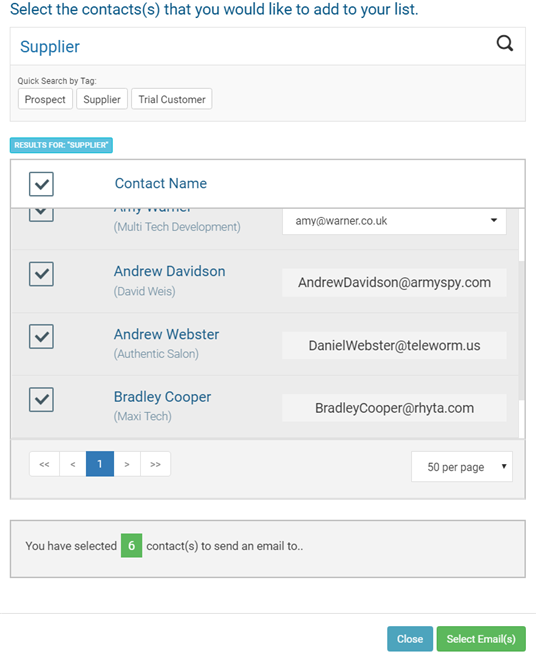 Once you have highlighted the required contacts they can be selected as show here and added to the email. The chosen recipients will then show up in the email as follows, from which point you can create your email and hit send.